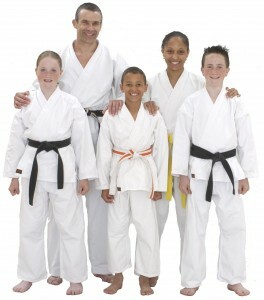 We offer family classes for children to train together with their parents and sybling. We encourage to do one dedecaited class per week suitable towards there are group and ability. All classes are syllabus based and cover both Karate and Kickboxing techniques as well as cardio, fitness, body strengthening and conditioning drills in all class as well as improving confidence, focus control and flexibility. We have Family classes with mixed grade and ages from 4 – 64 years old every Saturday Morning in our Werrington Location at 10am and at our Full time Family Martial Arts Centre, Fengate at 11am. With more classes planned for opening late 2013.